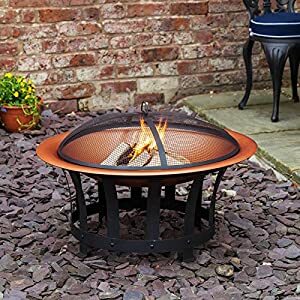 We are happy to present the brilliant Trinidad 30 Round Fire Pit. With so many available today, it is wise to have a brand you can trust. 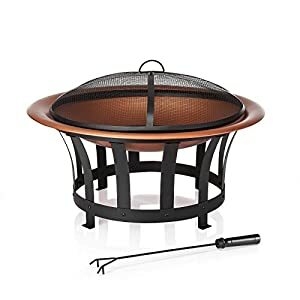 The Trinidad 30 Round Fire Pit is certainly that and will be a great purchase. 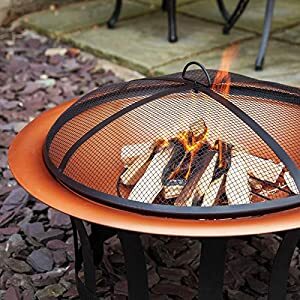 For this price, the Trinidad 30 Round Fire Pit is widely recommended and is always a popular choice with many people. Fire Mountain have included some great touches and this results in great value for money. 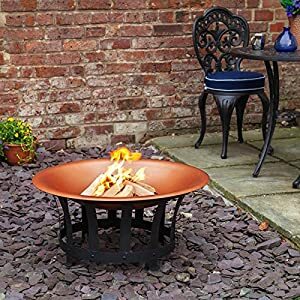 The Trinidad Fire Pit is the perfect way to bring the warmth and glow of a traditional open fire to your outdoor living space, with an on-trend copper and black finish for a modern look that can withstand temperatures up to 500 degrees Celsius. 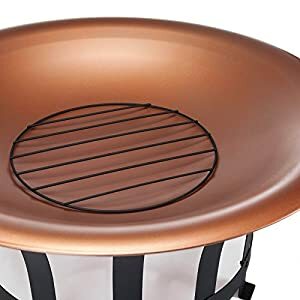 The Trinidad features a wide shallow bowl in an eye-catching matt copper-effect finish, contrasted by a black powder-coated steel mesh lid and stand. 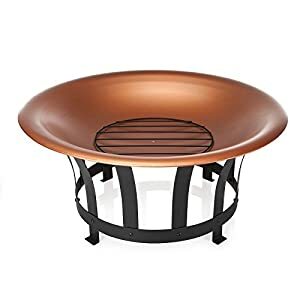 The copper-effect fire bowl is removable, so it's easy to empty and clean after use, and the mesh lid helps to protect from sparks and ash while still allowing a great view of the flames. 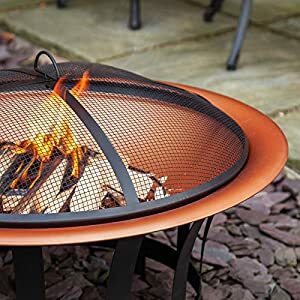 A black steel grill disc sits in the bottom of the fire bowl during use to allow air to flow around the fuel. We recommend using wood or charcoal in your fire pit for the best result. The black steel stand is circular with wide bands all the way around, providing a sturdy yet lightweight structure that's easy to position around the garden or move into storage. The Trinidad Fire Pit comes with a free poker for stoking the fuel or lifting the mesh lid safely during use. 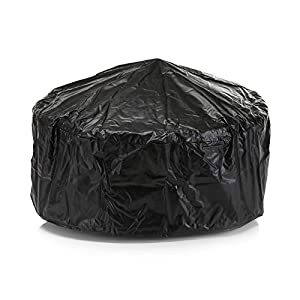 A waterproof cover is also supplied to protect the fire pit when not in use. 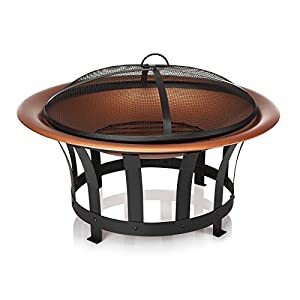 We recommend storing this fire pit indoors when not in use for a long period of time.